So, last night we had a few friends for dinner. After working hard on our farm upstate all day, we were all looking forward to a nice dinner. Dominique made a Algerian Style Lamb Stew from the Cabbie Cookbook. We had a lovely salad and an assortment of rustic local breads. Before we started, we nibbled on deviled eggs, and two fabulous cheeses - a St. Auger and Pie D'Angloys with assorted crackers and breads. As guests we had two sets of poeple. Matt and Natalka Wiesmantel (he is Senior Director of Campus Information Services, Rutgers, and she is a professor of music at Gloucester College)and Gary Mitchel (Queens Historical Farm - where he oversees, among many things, the vineyards there) and Tina Manko (adjunct history profesor at Ramapo). It was an excellent mix of folks. Gary's a former Hollywood director and producer, as well as an expert in history (as is Tina), and Matt is a gardening and history fanatic. The Weismantel's have helped us on our farm for two years now. We cannot thank them enough. While we started the evening off with a Kistler Chardonnay, sitting around our country table, noshing on deviled eggs and cheese (it was exquisite), we talked about vineyards, plants, history, and music. And we drank a lot of wine. We had a thrilling bottle of Turley with the lamb stew. One of the most memorable wines was brought by Gary - a 2002 Macari Bergen Road. It was a big red. It had a big nose full of cherries up front. A touch of fruit on the tongue. It also had some tabacco and some vanilla. It had nice acidity and finished dry and delicious. We decanted it, and it became more and more beatiful the longer it sat. Unfortunately, it didn't last that long. It was excellent with the cheese, but it was lovely all by itself as well. A great wine. We all commente on how much we liked it - and that was in some pretty big company. Congrats to the folks at Macari! Did you ever hear the one about the vineyard in Queens, just minutes away from the Little Neck Parkway Q46 bus stop? Even if you haven’t, it’s true. First reported three years ago, the borough is finally set to prove it has terroir in spades with the imminent production of its namesake wine. The epicenter for this oenophile revolution is the Queens County Farm Museum, described on its website as “New York City's largest remaining tract of undisturbed farmland,” and “the only working historical farm in the City.” It’s also one of the oldest farms in the entire state of New York, celebrating its 310th birthday this year. It’s about time for Queens to have its own wine. Gothamist visited the farm yesterday, and got the full story from vintner Gary Mitchell. After a few bumps in the road, the Queens Farm Vineyard label -- sorry to all those who were hoping for Maspeth Merlot or Corona Cabernet -- is set to launch with the harvest of this year’s growing season. In January, winemakers at the farm will bottle their first few cases, followed by an early Spring 2008 release. The initial production run of 250 cases will be a plain, straightforward Merlot, and a red blend consisting of Merlot, Cabernet Sauvignon, and Cabernet Franc. Additionally, with a predictive eye cast on Rego Park spritzers and eventual shellfish pairings, the Queens County Farm has also been working hard on a crop of Chardonnay grapes. Mitchell estimates that the first Chard bottling will happen sometime during the next two years; he hopes that Queens Farm Vineyards output will reach a total of 600 cases per year. All grapes grown on the farm are sourced and hand-selected from a variety of Long Island growers. The farm’s goal is to fit the wine into the larger framework of products made and grown in New York, and to eventually showcase other local wines when it opens its tasting room, which should happen sometime during the next few growing seasons. In the meantime, the Queens County Farm Museum remains one of the last local places within the reach of a Metrocard fare where you can actually buy fruit, vegetables and herbs grown on premise. You’ll just have to wait a few short months for the summer harvest, and for the farm stand to open, to get a crate of really local tomatoes and squash, with some basil thrown in for good measure. Photos: Grapevines at the Queens County Farm Museum; a shorn Merino sheep at the farm. Note: Gothamist doesn't know if the sheep actually approve of the wine; we actually just approve of the sheep. In today's New York Times there is a story which could not be more dire. It spells certain concern for farmers throughout the Hudson River Valley, farms throughout New York State, especially on the eastern side of the state, and New England. The effects on grape growers and vintners could be substantial. According to the Times, bats are dying off in record numbers and no one seems to know why. Three distinct species are dying off without explanation. As many as 90% of bats in some wintering caves have died off during the hibernation period. Lack of white and brown fat is evident as well as other tell-tale symptoms. What does this have to do with wine, you ask? Bats eat bugs. And the bat population is responsible for eating a large chunck of bugs born every year. 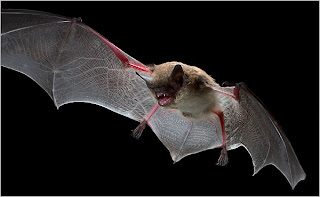 Without the tens and hundreds of thousands of bats (a doomsday prediction of as many as 250,000 bats might perish), that many more bugs will infest crops up and down the Hudson Valley as well as northern and central New York. Vermont and other New England farms will be affected as well. FOOD & WINE magazine’s April issue includes some nice kudos for New York wines and wineries in a feature on “Best American Wines $15 and Under”. Those named include 2006 Fox Run Dry Riesling, and 2006 Dr. Konstantin Frank/Salmon Run Riesling, and Lenz 2001 Estate Merlot received a nice mention even though it is well over $15. MONTEREY WINE COMPETITION, just up the coast in one of the world’s most stunning landscapes, also yielded some New York Gold, with Goose Watch 2006 Finale White Port advancing to the Sweepstakes round, accompanied by Gold medals for Swedish Hill Triple Cream Sherry and 2006 Dry Riesling. Other New York Gold included Chateau Frank 2000 Blanc de Noirs, and two from neighboring Heron Hill Winery (Vidal Blanc, and 2006 Semi-Dry Riesling). New York ’s 6 Gold medals were joined by 5 Silver and 9 Bronze. New York Comes Up Big at Jerry mead Wine Show! “BEST NEW WORLD WHITE WINE” is the award that Goose Watch Snow Goose brought home from Jerry Mead’s New World International Wine Competition, held March 8 and 9 in southern California , which included over 2,000 entries. Winning Gold, Best of Class, and Best of Varietal accolades on its way to the top prize, this $11 blend of Cayuga, Viognier and Traminette bested hundreds of chardonnays, Rieslings, sauvignon blancs and many other popular wines from several countries and states. Goose Watch also won a Gold and Best of Class for its 2006 Traminette, while sister winery Swedish Hill won Gold and Best of Class for its Svenska White, and Gold medals for 2006 Dry Riesling and Viking White; the Golds were joined by a total of 9 Silver and 8 Bronze medals for those two wineries. Other New York wineries also took some top awards, like Torrey Ridge Catawba (Gold, Best of Class, Best of Varietal), along with a Gold for its Diamond; and Pindar Vineyards 2005 Chardonnay (Gold, Best of Class). Additional Gold medals went to Dr. Frank 2006 Semi-Dry Riesling, Glenora 2007 Dry Riesling, and Knapp 2006 Dry Riesling, with New York ’s total medal count at 11 Gold, 24 Silver and 24 Bronze. 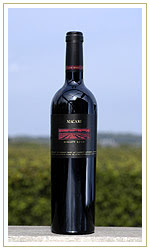 Created by the late, great Jerry Mead, a no-holds-barred wine journalist who railed against antiquated wine regulations and bumbling bureaucracies and described himself as the “Wine Curmudgeon”, the NWIWC is now run by Eileen Tillery and her daughter Jodi, and is one of the competitions which is truly open to new varietals and styles of wine. What better proof than the “Best White” being a blend of two “hybrids” and a Vinifera?! Congrats to Dave Peterson and the rest of the wine making staffs at Swedish Hill, and Goose Watch, and the winemakers at the other wineries. Standing Stone's Pinnacle has been one of the outstanding reds of the Finger Lakes region for more than a decade. And it still is. They first started making it in 1991, and it's been a staple in my cellar ever since. I love pouring this wine for all types of wine drinkers - from novices to snobs, and all, in the end, are very impressed. Martha (Marty) Macinski has been one of the most important people in Finger Lakes winemaking for a long time, and her contribution to the region is invaluable. Her roots in this area go way back. So far, in fact, that she told us about it at a recent tasting. The vines for the Standing Stone 2005 Pinnacle were first planted in 1998 and 1999. The orignal 1994-1999 wines were not estate wines, but everything from 2000 on is an Estate wine. This particular wine is 100% estate harvested with 89% Cabernet Sauvignon, 8% Cabernet Franc, and 3% Merlot. They did a cold soak up front, and let the must mascerate for 3 weeks. The cabernet sauvignon gave the wine a nice deep color during that masceration. Marty made sure to mention that they push down their must cap, not pump over. It's harder, but it's worth it. And boy was it. "We decided to enter the wine business because we believe that the Finger Lakes region can grow wines that are among the best in the world," say Marti and Tom Macinski (Marti's husband) in their winery literature. And they certainly are living proof they are right. In 1991, they purchased historic vineyards on the east side of Seneca Lake. Their first crush, in 1993, yielded only 800 cases, which was quickly discovered and sold out in just 12 short weeks. They now produce about 6500 cases. The wines are made and sold in renovated barns. This is a big wine, with lots of fruit up front. Nice structure. I recently drank some of my oldest Pinnacle's. They are hearty wines that will do well in your cellar. I most recently drank a 1996 which held up wonderfully. I think I have two more left...Mmmmmmmmmmmm! This is a sophisticated meritage. It's got beautiful color and wonderful fruit. It's beautifully put together. They made 450 cases, which, given their distribution, is practically nothing. And the price is a shockingly low $20.99! Buy a half case and save it. Better buy eight bottles. Drink one now, one to impress on the next holiday, and six to lay down for when your second grader graduates from high school. It's that good! This big red wine is 45 % Cabernet Franc, 32 % Cabernet Sauvignon, 23 % Merlot. According to winemaker Morten Hallgren (born in Provence, France), "2005 was an exceptionally warm and sunny vintage with near perfect growing conditions for the late ripening Bordeaux varieties. As a result of a cold Winter and minor Spring frost damage, followed by a relatively dry growing season, the yields were only 2 – 2.5 tons/acre. With grapes arriving in perfect conditions, we destemmed the cold grapes into open-top fermenters and proceeded with a 4 day cold soak, before inoculation. We increased our pump-over and punch-down regime to match the ripeness level of the vintage and allowed the grapes 3 ½ weeks on the skins. The separate lots were barrel aged in 75 % French oak and 25 % American oak with about 20 % overall new oak. The final blend was egg white fined and given a coarse filtration without cold stabilization." Well, there's a mouthful to start off with. But what a mouthful! This is one of the biggest red wines to come out of New York State in a while. The wine is a deep ruby. It offers an intense aromatic impact with red berries, spices and gentle oak. There is a touch of chocolate in the wine. It also offers 12.8% alcohol. This is a big, deep wine, with lots of structure. The word that comes to mind is 'Elegant.' This is a wine that deserves your best decanter and the best meal you've cooke in a long while. Make sure to peruse more than a few cookbooks looking for just the right dish. If you waste this on pizza I will personally come to your house and spray you down with Andre Cold Duck! When asked about his thoughts on making wine in the Finger Lakes, Morten said he benchmarked his wines against France, mainly Bordeaux. He said this not because he's crazy, but that the Finger Lake's weather was much more akin to that of Bordeaux than say California. Finger Lake berries will never get the sun in the Finger Lakes like berries can in California. So he looks east when looking to see what people in a comparable climate can do with grapes. Not a bad out look. 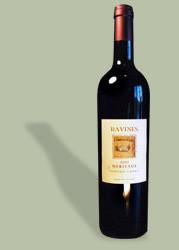 Morten wrote in his notes, "The 2005 Ravines Meritage shows the potential for the Bordeaux varieties in the Finger Lakes region in a warm and sunny growing season. The vintage led to a wine of uncommon structure and balance for the region." Like some of he others, this bottle could take ten years to reach it's peak. This should easilly last 15 years in your cellar, but I would drink by 10. I would drink it tomorrow too! This is an exquisite wine full of promise for the the house and for the region. Morten and his wife Lisa have aimed their winery at making classic, superior dry European styled wines in the Finger Lakes. This wine extends them and the region way forward in their goals. Congratulations to Morten at the folks at Ravines! Sheldrake has been mentioned in all the right magazines, including Wine Spectator, Wine Enthusiast, Decanter, and the Robert Parker newsletter to name a few. So you're never really going to go wrong when you choose a bottle of Sheldrake. You certainly won't go wrong picking up a bottle of Sheldrake 2005 Cabernet Franc. Wrote Dave Breeden, the winemaker at Sheldrake, "The 2005 vintage was an exceptional year for red varietal wines. To further develop structure and complexity we blended Estate Cabernet Franc (87%) with Estate Cabernet Sauvignon (4.5%), and an experimental lot that we had produced from California Cabernet Sauvignon (8.5%)." The wine has the awards to back up any big claims the winery can make. The Sheldrake 2005 Cabernet Franc has been awarded multiple Gold, Silver and Bronze medals and “Commended” by Decanter (World Wine Awards 2007). The deep ruby color is beautiful. And as promised there is sweet red fruit and vanilla in the nose and notes of herbs. Its is a full bodied red (12.7% alcohol)with big fruit, ripe tannins, and a nice finish, with just enough oak to round it all out. Sheldrake Point is the most prominent point of land on the west coast of Cayuga Lake and holds an equally prominent place in history. For centuries, the protected coves, rushing streams and gentle slopes provided for the largest settlements of native Cayuga Indians. Early in the 1800s, Sheldrake Point became a destination for ferries serving the lake and the beauty of the lake was quickly discovered. Sheldrake Point Vineyard, LLC. is a New York State Limited Liability Company founded in 1997. The company is licensed as a New York State Winery and owns and operates a 155 acre farm located on the shores of Cayuga Lake in the Finger Lakes, a vineyard of 44 acres planted to Vinifera vines, a winery producing 8000 cases and Simply Red Bistro serving savory American cuisine. Our current investor Members are drawn from three families. Members who are company officers include Chuck Tauck as Senior Managing Partner (principal owner) and Bob Madill as Winegrower, General Manager and Partner. Partners Michael and Marjorie Adams live in Australia and are engaged in developing a wine export business. Greg Sandor, who founded the company and acted as General Manager from 1997 through the spring of 1999, has established Bridge Urban Winery in Brooklyn. This is a very nice wine. First, let me say I am a big fan of the Hunts. I have been for years. I have been buying heir wine since I was an assistant in publishing, back during the Civil War (just kidding). But I first discovered the Hunts at the Union Square Farmer's Market back in the late 1980s and early 1990s. And Art especially has been very nice to me over the years, though he may not even know it or me, but he's always open for a question, and can be very helpful. One only has to sit through his speaking about winery planning to know his self-depricating sense of humor and good wit. Next, I would have to say, Christopher Wirth is a very good winemaker. This was his first Cab Franc at Hunt Country. This is a 100% Finger Lakes Cabernet Franc. He put the harvest in a three day cold soak, he let it mascerate for 14 days, pressed it, and barreled it in French and American oak for 12 months. It was bottled on January 25, 2007 when they made 215 cases. It has an alcohol content of 13% and a Total Acidity of 6.0 g/L, with a 3.4 p.H. Says Wirth of his wine, "The product of ideal ripening conditions in 2005, this Finger Lakes Cabernet Franc exhibits rich ruby color, firm tannins and hints of black cherry and light pepper….a beautiful companion to fine cuts of lamb or beef, bold vegetables like eggplant, and creamy cheeses." He's right on the money. There are times when a wine writer simply needs to get out of the winemaker's way. This is one of them. This is a big red wine, good to drink now, and good to drink a decade from now. This is worth cellaring. And at $21.99 is a steal. Congrats to the Hunts and to Christopher Wirth. A wonderful big red wine that deserves to stand out. This to me was one of the biggest surprises. I will admit, I just haven’t tought of Fox Run and big Cab Francs. Fox Run is clearly a well distrbuted line of wines, well-known in New York City for example. Scott Osborn has an unqualified hit with this wine. This is an exceptional wine, ready to lay down for ten years if you like. But perfect to drink now as well. They only made 240 cases, and each bottle is priced at $24.95. Mr. Osborn wrote, "Our favorite barrels from the stellar 2005 vintage were blended to make a finely perfumed, smoky dry red with great potential for cellaring. Open this wine to drink alongside your best beef braises, ragouts, or mushroom-based pasta dishes." This wine had pepper on the nose. A nice mouthfeel, and a long, dry finish. This was a big wine. Aged in oak. A sophisticated red for any region. It very much reminded the tasting group of a Chinon. This is an exceptional wine and at the price it's one of he best bargains in all of the US for a nice, big red. You can be proud to serve this to anyone. Buy six bottles, and store five of them. And then treat yourself and drink one. This was the lightest of the Cabernet Francs I recently tasted of the 2005-2006 Finger Lakes red vintages. But that doesn’t mean lesser. While many winemakers choose to cold soak and go the route of long macerations, Billsboro maked a conscious decision to make a more medium bodied, lighter Cabernet Franc. He made the wine in small, 1 ton bins, with a 1-week maceration, and lightly oaked it in new American oak. The result is a nose filled with strawberry and other fun berry fruits. The taste up front is a little more forward fruit than most, but a pleasing, drinkable wine with nice, dry finish. Vinny Aliperti is Billsboro's winemaker. He had previously worked at Wolffer. Vinny chose the winery's 2006 vintage because it was his first. And a very nice time around it was. Vinny's suggestion for an accompanying food would be a grilled portobello mushsroom sandwich and other grilled veggies. This suggestion made everyone hungry for the rest of the tasting. The Cab Franc is 83% Cabernet Franc and 17% Cabernet Sauvignon. They made about 175 cases and it sells for $18.95. I've written about Vinny before. I am a big fan. Billsboro Winery is home to 26 acres of rolling hills, vineyards and forest. 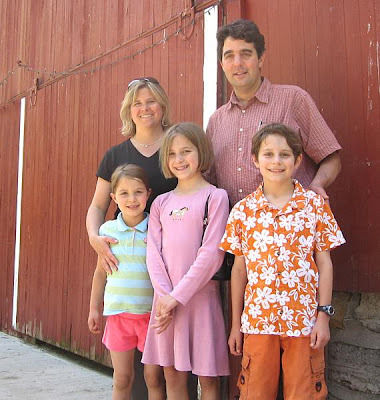 In August of 2007, local winemaker Vincent Aliperti and his wife Kim took over ownership, keeping the Billsboro name. Together with their three children they plan to continue the vision of a small family-run farm winery. Vinny is an accomplished winemaker. In addition to making wines for Billsboro, Vincent is also head winemaker for Atwater Estate Vineyards in Burdett, NY. Billsboro Winery is conveniently located along the Seneca Lake Wine Trail, just 5 miles south of Geneva, NY at 4760 West Lake Road, also known as Route 14. Look for our sign on the west side, between Armstrong and Reed Roads. Vinny's crisp, clean, food-friendly style of winemaking has earned him praise and awards both locally and nationally, including several mentions in The Wine Spectator. He was the recipient of the 'Best North American Riesling' at the Grand Hyatt National Riesling Championship held in November 2006 in Australia. He looks forward to producing award wining wines under the Billsboro Label. Kimberly Aliperti is the sales and Special Events Coordinator. She is very active member in the Geneva community. This is a nice wine, that will go well for friends, and is one of those light red perfect all year round, but will be especially very summer friendly. A vey nice wine. For sure he'll sell out before the summer is gone. Great with grilled veggies, chicken, pork, pasta dishes, or some nice gourmet wood fired pizza. There were six wines, and they were for the most part 2005s. Who could go wrong? 2005was one of the best wine growing years in the last 20 or 30. They were rich, deep, and opulent. And if someone didn’t tell you they were from the Finger Lakes, then you wouldn’t have known where they were from. However, one must also take note, as was discussed with the several wine writers and the group of winemakers and winery executives, that the red vines planted in the last ten years are maturing, as are the winemakers’ ability to work with the fruit as well. The result is a region strong and rich in flavor. It would seem to this writer (and grower) that New York in general, is well served by Cabernet Franc, and that Cabernet Franc should be one of the dominant red varietals for he next generation that will finally give New York the trump card, a single red grape that works in all three regions, which finally unites it, giving it an easy and strong identity to sell outside the region. But the day surely belongs to the Finger Lakes. The wines were exquisite. So much so that I am going to write a separate review for each wine…some shorter alas and some longer. But there is no question that the 2005 Cabernet Franc vintage is an incredibly exciting benchmark in Finger Lakes wine that will long stand as it’s true coming out party for incredible, deep red wines that stand up to any region’s. Not only is this a victory for the winemakers of the region, but it is a victory and a celebration for wine drinkers…especially those who drink regional wines. These wines drink well now, and are most cellar worthy. And best of all, they are incredibly affordable. Don’t just buy a bottle here and there. Buy five or six and store them for long while. Many of these will keep a good 10 or so years. And in 2015, 2016, 2018, you could pull one out of the rank, dust it off, and decant it, and smell the fresh berries that were the first of the big red vintages from the Finger Lakes. 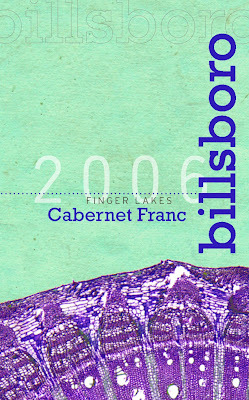 The 2005 Finger Lakes Cabernet Francs and Meritages are a landmark vintage! This is a new benchmark for the Finger Lakes. Follow me down the road less taken….I promise you won’t regret it. Let me tell you now, there is nothing more fun than going to a BYOB Wine Tasting at Wineries Unlimited. In one of the Grand Ballrooms at the Valley Forge Convention Center there were a dozen tables set up, each representing a state or region. From New England to the Carolinas was represented, as well as Ontario, Ohio, Missouri, and Tennessee. It works like this: you get a glass, and you go around tasting anything you want - no limits. It's all very low key. Like the look of that bottle? Grab it and pour yourself a taste. Of course, these are professionals, so they tend to pour themselves small tastes and leave some for the next person. It's low key, respectful, and lot's of fun. And I got a chance to taste wines I might never have had the opportunity to try, because some were from so far away. The Place is peopled with all the names you'd expect, like Richard Leahy the event organizer, Kathleen Watson of Childress, Richard Olsen-Harbich of Raphael, and the folks from a number of other places. They're all just standing around talking. I met more winemakers in one night than I normally meet in a year or two! New York was extremely well represented, chief among them Raphael. Martha Clara's delicious Five-0 was also in attendance. But many of the other names you might expect were also there. From New England there were old reliables such as Sakonnet, but there were some new comers too like Connecticut Valley Winery, Neponset (Needham, MA) and some new wines from Jewell Towne (NH). New Jersey's Unionville Vineyards was there along with Silver Decoy. Heritage Station, from Richwood, NJ was a newcomer who showed up. And there was Greendance a new winery from Pennsylvania. From Virginia there were many wonderful wines, including LaGrage, Thomas Jefferson Winery and Chrysilis. And of course we met the folks from Childress Vineyards, in Lexington, North Carolina. It was a hoot. I'll be filing separate tasting notes in future posts. In the meantime, I need some serious asprin. I am a big fan of collecting, and reading, as many books as I can on wine. And I am a freak about collecting anything eastcoast. There are many great books on wine, the vineyard experience, and winemaking, as well as excellent guides to wine in this region. I give you a list of books you should know about. 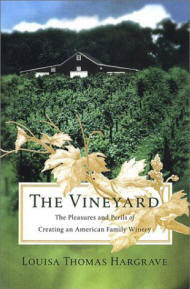 An exceptionaly wonderfl tale of Louisa and Alex Hargrave's establishing of the first vineyard in Long Island. A tale of high art and design as well as hard work and sweat, as famous illustrator takes on farming in the Hudson Valley and establishes one of the signature wineries and a winemaking dynasty. Wagner is a special person. He was a reporter and then editor of the Baltimore Sun and established Boordy Vineyards outside of Baltimore, Maryland. He wrote seveal great books. The first is about making wine, and the other is about establishing vineyards. These were powerful books in their day, and there are few eastcoast winemakers who are about 35-40 years of age who don't know who Wagner was and how important his influence was on generations of winemakers. Very influetential. Hudson Valley WIne & Grape Association Launch "Hudson Heritage White"
The Hudson Valley Grape Growers Association has selected Seyval Blanc as the primary grape for wines that will qualify for the new designation, with Vignoles, Vidal or Cayuga White allowed for blending. In time consumers will see wines labeled "Hudson Heritage White" and the wine will be a light and easy-drinking white wine. As you go wine tasting in the Hudson Valley you will run across a white wine called "Hudson Heritage White." This wine is available at many of the wineries. Although the same name, each winery will craft their own version of "Hudson Heritage White." What does that mean...It is common practice in France for regions to have a clearly defined wine styles, with strict parameters established and enforced for grapes and blends that qualify. The growers in the Hudson Valley are using that platform to build their own identity and understanding for Hudson Valley Wines. The purpose of Hudson Valley Wine & Grape Association is to increase the quality and quantity of wine and grape production in the Hudson Valley through education, knowledge, networking and cooperation. 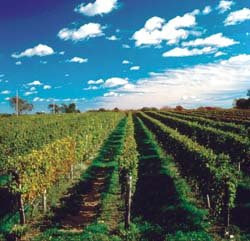 The membership consists of producers of grapes (wine, table or juice) and wines (grape and fruit) in the Hudson Valley whose product is defined by the unique macro climate and terrain of the Hudson Valley. 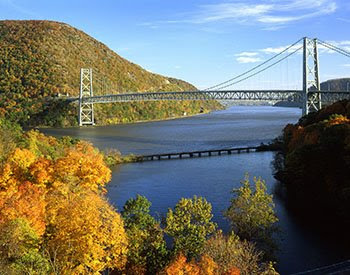 The Hudson Valley Wine & Grape Association demonstrates and highlights the quality of the region's grapes and wines and the growing interest the public has for them and wines from the valley's cool viticultural growing region. Not all, but many of the wienries already made a seyval blanc. It was already a signature wine of the Hudson River Valley. But the idea is to help create a group of signature wines, already individually popular with consumers, in order to help people appreciate the wines coming from the valley. A list of seyval blancs from the region will be another posting. I returned to the scene of the crime - Scared Grape. That's the story where we went to our first Cornell sponosored sessions and they tried to scare us out of growing grapes. Just yesterday I attended the 2008 Hudson Valley Commercial Fruit Grower's School run by the Hudson Valley Cornell University Cooperative Extension and the Hudson Valley Wine Grower's Association. The one in the same event. The school runs all week, but "the Grape Sessions" were on Friday. And most of the winegrowers made appearances during different parts of the day. Mike Migliore from Whitecliff Vineyards, Susan Wine and Bob Ransom from Rivendell, Ceasar was there from Brotherhood, Mr. Graziano from Millbrook, John Bruno from Oak Summit, Benmarl's winemaker Kristop Brown, Rick Lewit from Alison Vineyards, Stephen Osborn from Stoutridge, Doug Glorie from Glorie Vineyards, and many others. And of course the Cornell guys were there: Steve Hoying and John Huddleson, Dr. Tim Martinson, and Steve Lerch as well as the ever present Steve McKay. As always its an informative group. One wonders why he or she is attending, thinking they know how to run their vineyards, and always comes away having learned something new. At least that's what the old timers say. I'm a newbie and I find it all fascinating. And it all scares the hell out of me everytime! Planting and growing a vineyard is the hardest part of running the winery. It always seems a mircle we get fruit at the end of a season. Each year we look out at the field and wonder what disaster will befall us this season. Every year is a harrowing novel of "man versus nature," in which we luckily bumble through, and turn out great in the end. But the school in february always scares the heck out of me. The Cornell folks are wonderful. They tell us about recent developments, hyrbrids, and insect updates. This year there was a seminar on cutting buds in the vineyards to take an early gage on vineyard health before pruning begins. Wayne Wilcox was there talking about leaf roll and necrosis. Andy Farmer was telling about how to plant individual plants in a vineyard. John Huddleson is one of the best friends of the Hudson Valley folks, and he was there extolling us with the virtues of several grapes. He and Steve Lerch were great in talking about the newest varieties coming out of the experimental station. Each man took some good natured ribbing. It was a wonderful day, as much as any day spent in a Holiday Inn conference room can be. And of course, each session within the session makes you wonder why you got into this at all. It makes you want to look in the mirror as say to yourself, "PT Barnum said there was one of me born every minute." And of course, we ended the day with the Hudson Valley Wine and Grape Association hosting a tasting of Hudson Valley Heritage wines and new hybrids. A lovely way to end the day. We comisserated, laughed, and tried to tell each other it will be a good year. And I think we all truly believe it will be. After all, if you get into this business, it's only because you're an unrepentant, blinders-on, optimist. Sakonnet Vidal Blanc - Simply Put, Wonderful! Sakonnet is one of the most successful wineries on the east coast. Sakonnet Vineyards, in Little Compton, Rhode Island was founded in 1975 on the well-researched premise that the microclimate and soil conditions found along the Southeastern New England coast closely resemble some of the great wine regions of the world, particularly, the maritime climates of northern France. At present, fifty acres are planted with many Vinifera varietals including Chardonnay, Gewurztraminer, Pinot Noir, and Cabernet Franc as well as Vidal Blanc one of the French-American hybrids. Wine production has climbed to over 30,000 cases annually with many wines receiving awards in domestic and international competitions. The drive out there, especially if you are coming from Newport, Rhode Island is absolutely breathtaking, complete with craggy stone walls, old New England farms and cottages, and the sea all the while in the background. IT is somewhat daunting in fall, but gorgeous in its gray, cool austere way. In summer it is absolutely stupendous. I have ben told by many poeple that Litte Compton is what the Hamptons used to look like back in the 1960s. Vidal Blanc is Sakonnet's signature wine. The Sakonnet Vidal Blanc 2006 is wonderful. The grapes were harvested in mid-October. Flower and fruit both come across on the nose. It's got some real fruit up front, but finishes with a green apple, so it's relatively dry. There is some residual sugar. But this is not a sweet wine. The finish is very dry - reminiscent of Sauvignon Blanc or Pinot Grigio. It's made 100% stainless steel fermented at an average temperature of 50°F for two months. This is a wine I am very fond of, and we serve it often at dinner parties. People who claim they like Australian or New Zealand whites often find they are shocked when they like this. It's that good! Congrats to the folks at Sakonnet!